Did you know concrete can garner many added benefits other than life-cycle costs, utility expenses and maintenance requirements? However, many homeowners still believe that a concrete home can call more expenses. In reality, they may actually save dollars by factoring in many exciting benefits of concrete. Here are some of the most compelling benefits. Those who live in concrete homes may better tell you the absence of unwanted noise and presence of great comfort are the biggest pluses, even topping the utility expenses and maintenance requirements. Concrete walls are quite effective at reducing sound penetrating through a wall when compared to other building alternatives. Although some sound will still penetrate, a concrete home is often many times quieter than a normal constructed home. The thermal mass of the concrete can be a great source of comfort. Its elements provide thermal storage capacity which can both reduce overheating during the day and also release this stored heat at night. Concrete floors are an unappealing food source for ants, termites, or rodents that often rest in wood-framed walls. Concrete floors can ease your health problems such as sneezing and congestion because they do no trap allergens and they are easy to clean. 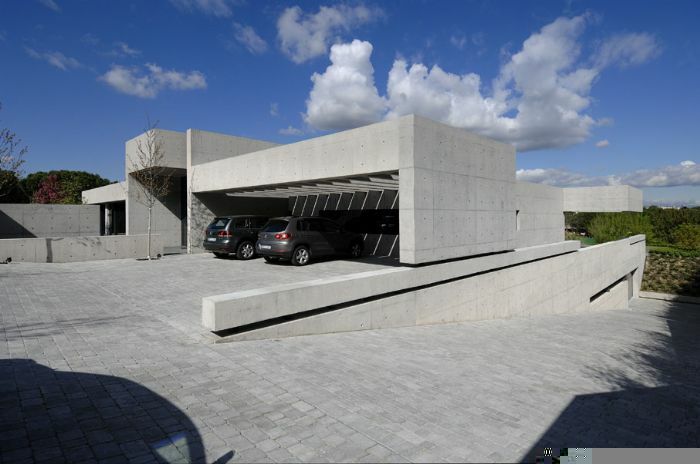 Concrete has proved itself to be the most durable and robust building materials. Building your home with concrete structural walls will protect you from tornados and hurricanes that would otherwise level a wood-frame home. Indoor air quality in the home plays a decisive role in your respiratory health, particularly if you suffer from allergies, asthma and other breathing problems. Concrete plays a major role in reducing the infiltration of air that can bring in potentially harmful microorganisms. They also do not support the growth of mold, mildew and other potentially harmful microorganisms. When selecting a home, buyers prefer solid construction which will assure them of their sound decision of buying. To exercise their individual personality, they are increasingly opting for this amazing flooring with great flexibility. Concrete flooring offers options for internal and external layouts, allowing a home to be tailored to the buyer’s lifestyle. Safety and security are generally the high priorities and buyers identify concrete as a reliable protector of their family, their home and their investment. Concrete is incombustible and floors, walls and stairs provide a great security as compared with wood-frame walls that collapsed in an hour or less, or any other building materials. With all these benefits in hand, one can imagine why more and more homeowners are embracing concrete. Concrete has definitely surpassed building materials with its cost-effectiveness, life-cycle costs, utility expenses, sustainability, superior resistance, and energy efficiency. Undoubtedly, concrete marks the future of the construction industry.